UNV champions environments in which volunteerism can flourish. It pushes for the ability and right of people to participate in their own development. The United Nations Volunteers (UNV) programme has evolved greatly over the past 42 years in terms of the size and spread of its mandate, results and activities, driven by the changing external environment for peace, development and the eradication of poverty, by the wider acknowledgment of the role of volunteerism globally and by intergovernmental legislation. pursuing the integration of volunteerism across policy, legislation and programming as well as delivering on internationally agreed development goals. UNV enjoys a unique global mandate to promote volunteerism for development, and has done so since 1970. UNV champions environments in which volunteerism can flourish. It pushes for the ability and right of people to participate in their own development. By integrating volunteers into the objectives and activities of partner organizations, local and national ownership of growth and transformation processes is fortified. Every day, millions of individuals across the planet engage in development initiatives through volunteer actions – both large and small – in order to improve conditions for others and for themselves, their families and communities. Individual and collective action has a major impact on peace and development. Volunteer action was pivotal to achieving the Millennium Development Goals and will be even more decisive for the Impact 2030 agenda and its Sustainable Development Goals (SDGs). At the United Nations Sustainable Development Summit on 25 September 2015, world leaders adopted the 2030 Agenda for Sustainable Development, which includes a set of 17 SDGs to end poverty, fight inequality and injustice, and tackle climate change by 2030. The SDGs, also known as the Global Goals, are universal, inclusive and a bold commitment to people and the planet. Volunteerism is intrinsically rooted in Goal 17, yet mobilizes people to leverage collective action and engagement across all Goals. UNV and its volunteers have unparalleled relevance in the age of the Sustainable Development Goals. Never before has the organization’s mandate aligned more closely with the global development agenda. The 2030 Agenda calls for leaving no one behind and recognizes that traditional means of implementation are not enough and must be complemented by actions that deepen impact and widen reach. UNV’s volunteer modalities and its initiatives expand development opportunities. UNV supports volunteer groups and schemes around the world to be recognized and integrated into the post-2015 development agenda. Creating enabling environments for volunteerism stimulates civic engagement and participation in local governance. UN Volunteers themselves play an invaluable role in development, linking institutional and national initiatives with community action and with people on the ground. They are involved in the planning of programmes and projects, the work to bring them to fruition and the final steps of monitoring and evaluation. UNV’s international, national and community volunteers enhance international and South-South exchanges; they strengthen regional cooperation; and they build trust between diverse communities and peoples. UN Volunteers raise awareness about the 2030 Agenda among the constituencies with which they work. Like they did with the Millennium Development Goals (MDGs), UN Volunteers organize local campaigns and devise creative approaches for SDG achievement, particularly in remote areas and among marginalized populations, such as women and youth. UN Volunteers dedicate their services and energy to achieving development targets. They bring skills and they build skills. 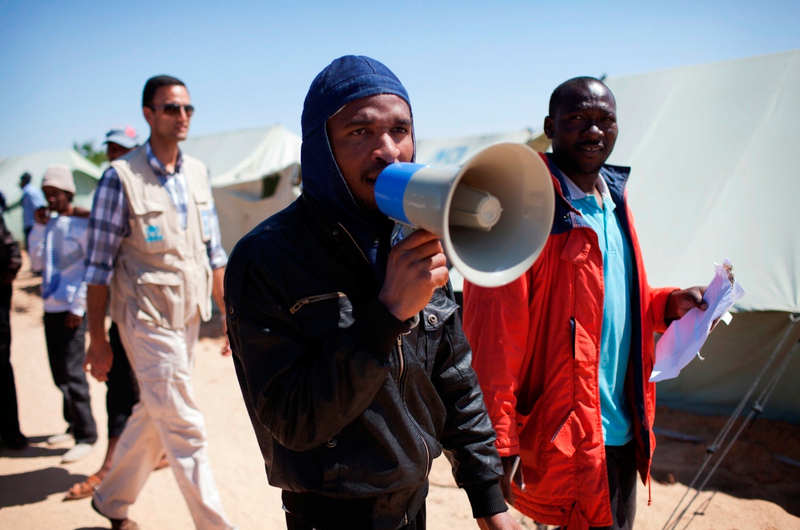 UN Volunteers facilitate knowledge sharing and transfer, while leveraging local expertise. UN Volunteers will help monitor SDG progress using citizen-driven qualitative and quantitative data collection. The model behaviour of volunteers inspires others to strive for the SDGs locally.